You know you need a dehumidifier when you see mold spots on your ceilings or in the corner of your walls. That just means there’s a lot of humidity where you’re living. It would be wise to invest in a dehumidifier as it can serve you for up to eight years. A dehumidifier can remove 25-75 pints of water from your home in just 24 hours and an Energy Star model can save you an average of $220 on utility bills. One of the most typical types of dehumidifiers that you will encounter on the market is a refrigerator-style dehumidifier. They are not really marketed as such, but there are two ways that common dehumidifiers work. The most common way is the refrigerator-style, and the other option is a desiccant dehumidifier, which will be discussed later. The refrigerator-style dehumidifier works by taking in the humid air from a room and then cooling it. After the air has been cooled, it is then dehumidified and released back out into the room. This is an effective way to eliminate moisture from the air, and it works well as a dehumidifier solution in any part of your home. 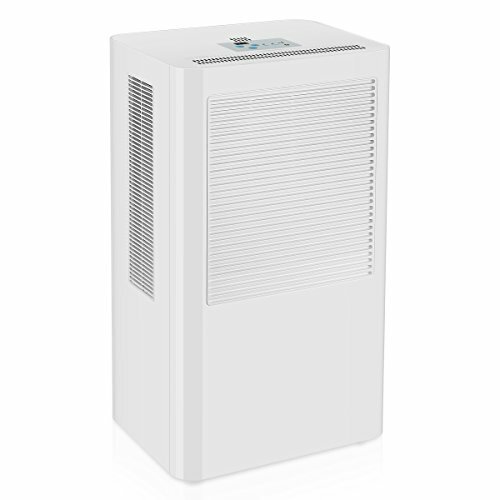 These types of dehumidifiers are sold all over the place, so you will be able to find one very easily. If the dehumidifier that you are looking at does not say that it is a desiccant dehumidifier, then chances are that it is a typical refrigerator-style dehumidifier model. The problem with this type of dehumidifier pops up when you try to use it in extremely cold temperatures. Due to the fact that this unit works by cooling the air before dehumidifying it, this model is not optimal for use in colder climates. Some colder climates have subzero temperatures, and cooling the air down would prove problematic. For this reason, these units do not work properly in colder climates. You will want to go with another option. For normal use in a typical environment, this type of dehumidifier is going to work swimmingly. You will be able to dehumidify whatever room that you choose to put it in, assuming the unit is powerful enough to handle the space where you are placing it. These dehumidifiers will come in various styles; for instance, you will see them being sold as portable models as well as whole house units. Just take the climate of your region into account before deciding to purchase one of these. If you live in a subzero climate, then it would be worth your while to purchase a desiccant dehumidifier. You likely have no idea what the difference between a desiccant dehumidifier and a refrigeration-style dehumidifier is, but it is actually quite significant. You see, a normal refrigeration-style dehumidifier needs to cool the air before it can start dehumidifying it. The desiccant dehumidifier models do not need to do that, making them excellent to use in climates with subzero temperatures. These types of dehumidifiers work by taking in the air and passing it over some type of desiccant material. This is typically going to be something like a silica gel. This is a substance that works excellently to absorb moisture, making it an ideal choice for inclusion in these types of units. 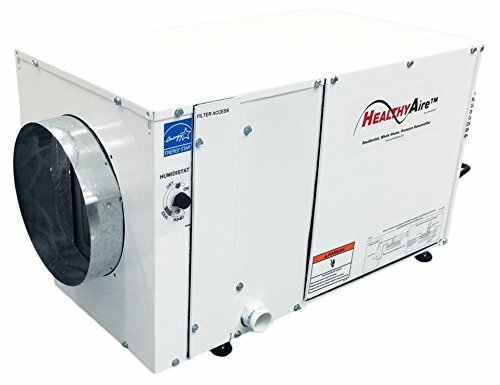 You will find several different styles of desiccant dehumidifiers on the market, as they can range from portable to incredibly large commercial models. For those living in areas of the world that have really low temperatures, this is going to be the optimal dehumidifier solution. You can place this in a subzero climate, and it will work brilliantly, so you will not have to worry about it freezing up or having problems which prevent it from producing results. This dehumidifier can be placed in a large basement, or you can purchase a more portable model that will be able to be plugged right into the wall wherever you need it. The model on display here is a larger commercial desiccant dehumidifier. This is an incredibly powerful dehumidifier that is capable of taking care of a very large area. If you have a small business that needs to be dehumidified, or if you have a large property of some sort, then this unit is going to work well for your purposes. You can count on this unit to operate efficiently in the cold, so you can buy it with confidence when you live in a chilly part of the world. 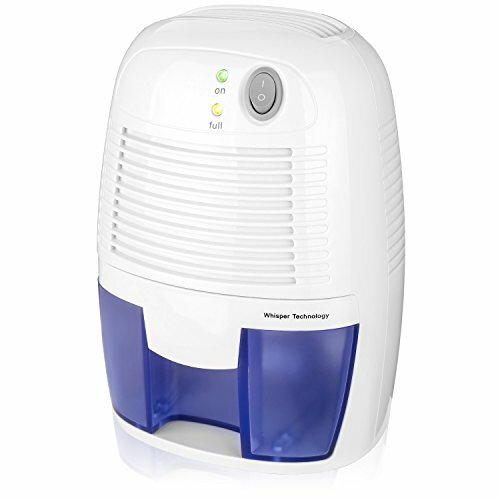 Portable dehumidifiers are definitely the most common type that you will see people using. These dehumidifiers are generally capable of dehumidifying medium-sized rooms very reliably. You can also purchase larger portable dehumidifiers that will be capable of working well in larger spaces, but these are not meant to dehumidify an entire home. They work well in the room that you place them in, and they will make things much more comfortable for you. Some people do not react well to humidity or having too much moisture in their environment. This can cause respiratory issues in some individuals, so it is fortunate that there are dehumidifiers on the market that can be purchased at an affordable price. These portable dehumidifiers are generally not too expensive, so they can be purchased without putting too big of a dent in your bank account. They are also very simple to use, making them an ideal option for just about anyone. For the most part, you just need to plug this dehumidifier unit into an electrical outlet, and it will work for you. You will need to change out the water and wash the air filter from time to time, but it will not require too much of your attention. If you have been looking for a simple solution to the humidity problem in your home, then this is going to be your best option. You can find these types of dehumidifiers at most major retailers, so you will not have to look too hard to find a good deal. Just pay attention to whether the dehumidifier you are purchasing is touted as being capable of dehumidifying the space where you plan to put it. If you purchase a dehumidifier that is said to be able to work well in a medium-sized room, then you will not want to place it in a large room. It simply will not work as well as you would like, and the benefits of owning it will be marginalized. Buy the right dehumidifier to work in the room where you need it, and you will have an easier time. Mini dehumidifiers are very useful in their own ways. You will find people using these types of dehumidifiers in their bedrooms quite often. They can be absolutely perfect to use in a small child’s bedroom when they need some protection from humidity issues. These mini dehumidifiers are quite small and can fit well even in very cramped spaces. If you live in a home where space is an issue, then you might want to look into purchasing one of these units. They are pretty good at getting rid of the dampness in the air, and you will be pleased by how inexpensive these units are. You will be able to pay a fraction of the cost of a normal portable dehumidifier if you choose to purchase one of these smaller units. Saving a bit of money can be quite nice, and if this will work well enough to serve your purposes, then it is certainly a savvy decision to make. Keep in mind that these mini dehumidifiers are not as powerful as their normal portable cousins. If you try to place one of these in a larger room, then it simply is not going to work as effectively as you would like. These are meant to be used in small spaces. Most commonly, people place them in their bathrooms or in a baby’s room, and they work very well in those environments. This dehumidifier is not going to be a good solution for your large living room or den area. People who live in smaller environments might find these to be perfect, though. It really depends on the size of your home. These can certainly be useful to people who live in large homes, but they are more appropriately placed in the bathroom or other more confined spaces. 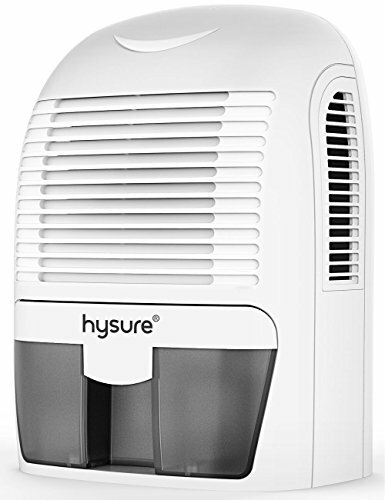 It is possible to purchase several of these mini dehumidifiers for the price of one of the normal-sized portable dehumidifiers. So, if you would like to go the route of placing more of these smaller dehumidifiers in your home at specific points, this could be a good option to consider. Think about your needs before you decide to move forward, as this is going to allow you to make an informed decision. Knowing that the option is there to purchase a smaller unit is certainly beneficial. If you are having significant issues with humidity in your home, then you may want to consider purchasing a whole house dehumidifier. These types of dehumidifiers are going to be a whole lot more expensive than the portable models that are more commonly used. When you purchase a whole house dehumidifier, you will find that they are quite capable of dehumidifying your entire home. The process is not nearly as simple as just plugging the unit into the wall, though. You will likely need to call in a professional to have this type of dehumidifier installed. Most of the time, these types of dehumidifiers will be connected to existing ductwork in your home. If your home already has a central air and heating unit, then it will be able to be attached to the existing ductwork, and this will work to dehumidify the whole house. This is a lot more complex than simply plugging something into a power outlet, but it is also much more effective at dehumidifying a large area. These dehumidifiers work much more effectively by being able to make use of the vents in your home. This is going to keep your home much more comfortable than it otherwise would be. Of course, this type of a measure is only going to be necessary for those dealing with significant humidity and moisture issues in their home. Most people will be able to get away with purchasing a far more inexpensive portable model, and it will work just fine. You need to consider your options and weigh just how badly your home needs to be dehumidified. If you are having health problems due to the humidity issues in your home, then it is absolutely sensible to purchase this model. When the humidity problems are milder, it might be hard to justify spending this amount of money on a dehumidifier. It comes down to whether your personal situation is severe enough to warrant needing this more costly unit. Buying a portable dehumidifier is going to allow you to eliminate moisture in any room that you choose. It is a good idea to buy one that is going to be very convenient for you to use. Some models of dehumidifiers will come with an internal pump. This internal pump comes in handy in several different ways which you will grow to appreciate. This internal pump allows the drainage to work much more efficiently in your unit. This is going to allow for continuous upward drainage that will make life easier for you. You will not need to constantly check on your unit to ensure that it is draining properly, and getting the unit set up is also relatively simple. When you want to purchase a portable dehumidifier that will prove to be very convenient, then you should consider this feature. If you have purchased a whole house dehumidifier, then you should make sure that it has an automatic start feature. Most of the top models will definitely have this, but you will not want to miss out on it. It can make dehumidifying your home a lot simpler and will consistently keep your home safe from moisture. You will be able to set this type of a dehumidifier to keep the moisture in the room at a very specific level. The dehumidifier will shut off when it needs to, and you will not even have to worry about it. This will allow you to set up the settings of your choice one time, and then you can let the unit take care of things. It will keep the room in which you place it or your whole house dehumidified to the proper standard. You will not need to concern yourself with checking on it too often, as you will simply be able to enjoy the benefits of living in a comfortable and dehumidified home. Portable dehumidifiers are definitely really convenient, as you can place them in whatever room you want to have dehumidified. Some of the dehumidifier units can still be a bit cumbersome to carry from room to room, though. If you want to be able to place your portable dehumidifier in a different room with ease, then it can be beneficial to seek out a model that has wheels. This is going to make things so much easier when you are transporting it to a different part of your home. This particular model features a handle that is comfortable and very easy to grip. You can lean the unit back and simply pull it into the room where you want it to be. You do not need to lift the unit up and risk hurting your back. The unit itself is not incredibly heavy, but you do not need to exert yourself unnecessarily. A convenient feature like this makes using a portable dehumidifier even more desirable. You will be able to take it from room to room without it being a cumbersome task. It might not matter as much to you if you plan on keeping your dehumidifier in one room permanently. Regardless, this is a nice feature that many people are going to appreciate. If you live in a colder climate, then you might want to consider purchasing a desiccant dehumidifier model to avoid any problems with freezing. If this is not an option, or if you simply prefer the refrigerator-style models, then you should seek out one with an auto-defrosting capability. This is going to allow the dehumidifier unit to keep working well, even when the air is getting very frigid. The auto-defrosting capabilities on many of these portable dehumidifier units are quite impressive. If the temperatures in your area are approaching freezing, then you should definitely purchase a dehumidifier with this convenient function. If you do not have it, then your dehumidifier is going to run the risk of freezing up and not working properly. It needs to be able to keep operating to dehumidify your living space, so it is worth seeking out a unit with this feature. Some people avoid buying dehumidifiers because they get really annoyed by the amount of noise that they make. It is true that some dehumidifiers can be quite loud. If you are the type of person who gets bothered by ambient noise, then it is understandable why a dehumidifier might put you off. 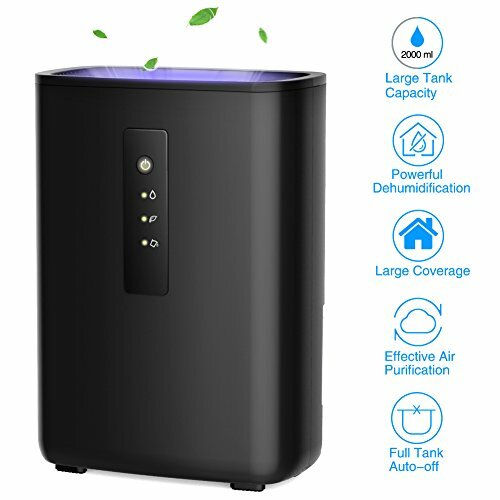 You will be happy to know that there is actually a dehumidifier that has a convenient silent mode feature. Dehumidifiers that have this incredible silent mode feature are capable of operating very quietly. You will not have to be bothered by an annoying hum or any other really noticeable sounds. This unit is going to be very quiet, and you will be able to enjoy having your home dehumidified without going bonkers. Aside from being really quiet, this dehumidifier will not produce significant vibrations when operating in this setting. 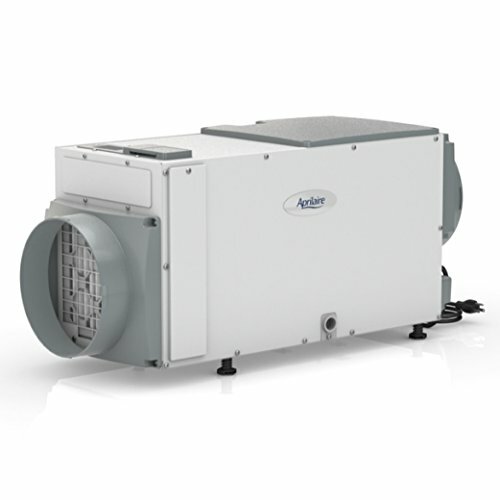 This feature is available in many of the most popular portable dehumidifier units. If you want to purchase one of these, you should be able to find a very good deal on one. The unit being featured here has proven to be very popular with customers. People have been making great use of it to dehumidify their homes in a quiet and pleasant fashion. Buying a dehumidifier that has a reusable air filter is going to be your best bet. Typically, you will find that the portable units are the most likely to have this feature. A reusable air filter is going to be able to be removed from the unit and then washed out. You can return it to the unit when you are done, and it will work excellently. The big benefit of this feature is not having to go out to the store to purchase a replacement air filter. Buying new air filters can definitely add to the cost of the unit over time. Even if the air filters are relatively inexpensive, it is still something that is nice to avoid. If you would rather reuse an air filter that you can wash out yourself, then be sure to buy a dehumidifier that has this feature. It is possible to purchase a portable dehumidifier that is very environmentally-friendly. In fact, some of the dehumidifiers on the market will specifically tout this feature. Dehumidifiers are environmentally-friendly when they are very energy-efficient and when they do not use any harmful chemicals. You can find a unit that complies with this, while still being able to work very effectively to dehumidify whatever room you place it in. Having an energy-efficient dehumidifier is going to prove useful to you. It will allow you to save a little bit of money on your power bill at the end of the month. Knowing that you are lessening the negative impact that you are having on the environment is a good thing as well. Seeking out a dehumidifier that is environmentally-friendly will not be too difficult, and it will prove to be a worthwhile choice. There are dehumidifiers available to purchase that give you an ample amount of control over how humid your environment will be. If you purchase a unit that has customized humidity levels as a feature, then you will be able to specifically set up how humid you want things to remain in the room. This can be perfect for those who want things to have a little bit of humidity, as the room becoming too dry can be undesirable as well. This is actually a really easy feature to use, so you will not have any problems, and you can make great use of it right away.